God’s Self-Existence, Transcendence, Eternalness, Omnipotence, Immutability, Omniscience, Wisdom, Sovereignty Faithfulness, and Love. “We must know God again,” A.W. Tozer writes urgently in his introduction to this second volume. “Nothing less than this will save us.” Originally preached as sermons to the Avenue Road congregation in Toronto, this study of ten more attributes of God restores our knowledge of who God is. A study guide has been added for an in depth look at each attribute. A.W. Tozer was born in 1897 on a small farm in western Pennsylvania. Following his conversion to Christ when he was seventeen, he answered God’s call to ministry. Tozer was pastor of Southside Alliance Church in Chicago for thirty-one years. He is the author of the spiritual classic, The Pursuit of God. 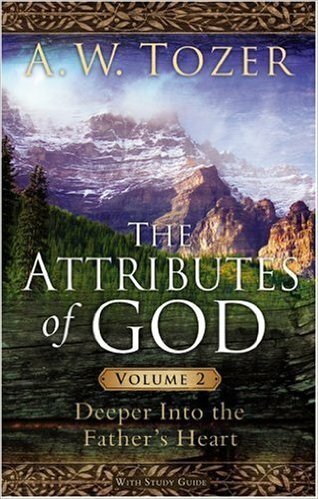 The Attributes of God Volume Two: Deeper into the Father’s Heart is A.W. Tozer’s famous work, The Attributes of God Volume Two, with a valuable study guide that helps the reader get the most out of A.W. Tozer’s The Attributes of God Volume Two. The study guide, written by David E. Fessenden, divides The Attributes of God Volume Two into 12 sessions. 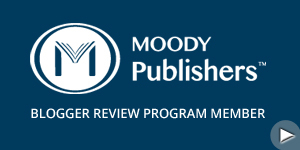 The 12 sessions include one session per chapter plus the introduction and a review. Learning the attributes is valuable because it helps the reader to understand more about their Creator. “God gives to human life its only significance,” A.W. Tozer writes in his introduction. A.W. Tozer quotes Romans 1:21-28 to explain the importance of spiritual protection and how having a correct understanding of God keeps us safe. When we learn about the attributes of God, we gain faith and want to change to be more like Him. I recommend The Attributes of God Volume Two: Deeper into the Father’s Heart by A.W. Tozer and David E. Fessenden for anyone who wants to learn about God personally or in a group. 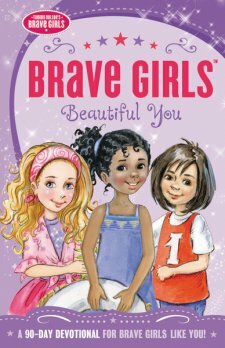 Brave Girls: Beautiful You: A 90-Day Devotional is a book from the Brave Girls series from Tommy Nelson. Tommy Nelson’s Brave Girls follows five girls, Hope, Gracie, Faith, Glory and Honor. They don’t consider themselves brave but they learn that God can use ordinary girls (both in the Bible and now) to accomplish His will for His Kingdom. Brave Girls: Beautiful You: A 90-Day Devotional talks about a characteristic that is much needed in girls today and how they relate to God’s Kingdom. Each days devotion has a scripture verse, a story, things to do or think about and leads in prayer. The chapters include Beauty Basics, Radiant Reflections, Works of Beauty, Beautifully Clothed, Kingdom Fitness, and Creative Beauty. I was excited to have my daughters go through this devotional. As I looked through the book I was surprised at how much information was in each devotion. Each devotion hits a key point about beauty and really ties it in to God’s Kingdom. I like how the header makes each page fun and readable. I would be interested in reading the other books from this series. Although this book is written for teens and preteens, I recommend this book for any girl no matter the age because everyone child and adult would find something that they could relate to. Beauty today is so distorted. I’m happy to see a book series that relates beauty to God, who created us, and His Kingdom.